Tourists returning after their holiday visit to Israel or New York may need to rethink their shopping plans, given El Al's new rules. American tourists flying back home after their visit to Israel -- or North American relatives bringing gifts and supplies to their loved ones who made aliyah -- may need to be a bit more organized, and possibly be more careful with their luggage after October 31, especially if they are flying on Israel's national carrier. A barely-noticed item quietly announced by El Al Airlines is about to affect the thousands of passengers who travel each week between Tel Aviv and New York -- and may even have an impact on the country's tourism boom, once the new restrictions become general knowledge. Effective November 1, economy (coach) passengers – who make up the bulk of the passengers on planes plying the route – will only be allowed one piece of luggage per passenger, plus a carry-on bag. The maximum weight per allowed bag will be 50.7 pounds (23 kg), according to the new regulations, and apply to direct flights to and from the U.S. and Canada. 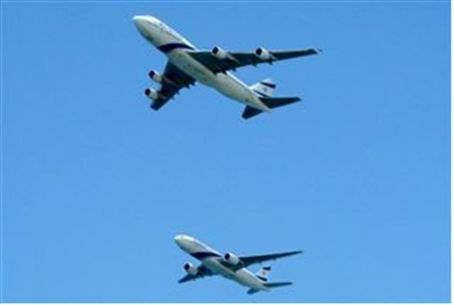 The restriction applies only to El Al flights on El Al aircraft, and excludes code-share and other carriers' flights, according to a statement on the airline's website. Passengers on flights to Eilat are inexplicably allowed the same amount of luggage for a flight that lasts less than an hour, compared with an intercontinental, trans-Atlantic flight. First class and business class passengers will be exempt, with business class allowed three pieces of luggage weighing up to 70 pounds (32 kg) each, and first class allowed an additional bag. are exempt from the restriction. International travelers have until this point always been allowed two pieces of standard luggage in addition to a carry-on bag on the New York-Tel Aviv route. Passengers who want to carry a second suitcase will be charged an additional $70 for the privilege. A third piece of luggage will cost even more – at least $230. Although the airline released the information to the media last month, it does not readily appear on the company's website when a potential customer searches for information on flights to North America. The information is accessed by going through a series of hoops, beginning with the site's home page, and then clicking on About Your Flight, Before Your Flight, Luggage Baggage and then finally on “Baggage Allowance” where the bad news is delivered. El Al is not the only carrier restricting passengers to the new limits; Continental Airlines, Austrian Airlines and Lufthansa also have similar regulations to North American destinations.